Have a question not listed here? Call the church office at (803) 765-9430 or send us a message. It is important that this sacrament take place as soon as can be planned following the birth. Preference is for the sacrament of Baptism to be celebrated during the service of worship on Sunday morning; however, other arrangements can be made. Please call the church office for a copy of the Baptism pamphlet with guidelines and procedures. More information available on our Baptism page. 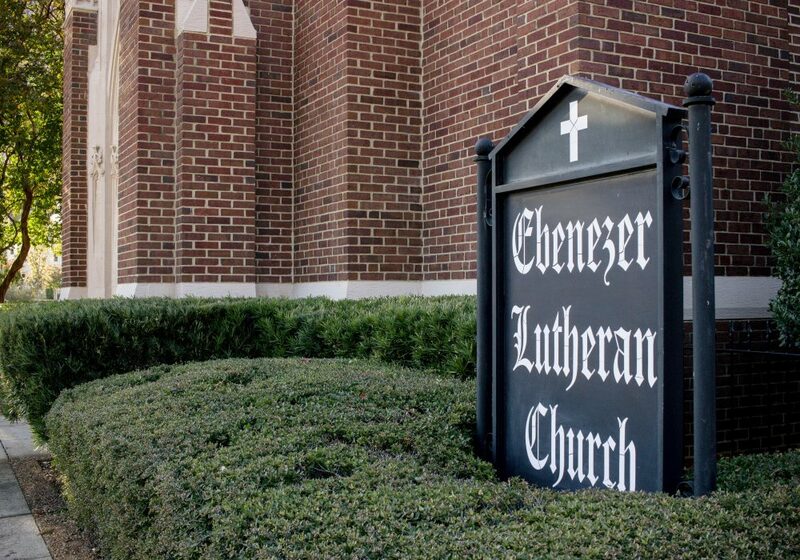 Pastoral counseling is an important part of our ministry at Ebenezer Lutheran Church. You will find the counsel of the pastors helpful in dealing with personal issues, family problems, vocational quandaries, or any spiritual or emotional crisis. Often our pastors can assist with a referral to other counselors based on your specific need. How to I arrange for a personal visit by the pastor? A note, telephone call or personal request will bring the pastor to your door at your time of need. Please inform the church office if you know of a member who is hospitalized or recently homebound. What should I do if a death occurs in my family? At the time of a death, the family should notify a pastor IMMEDIATELY. Many times the pastor is called when death is expected to offer pastoral care for the whole family. Members are encouraged to use the sanctuary for funerals. It is in this familiar place that the promise of our resurrection faith is proclaimed every time we gather. Is childcare available during worship? We encourage all children to be in church with their parents. If needed or desired, childcare/nursery is available for children, two years of age and younger, during Sunday worship services. Are there programs for my children to participate in worship? We encourage children and youth to come to worship. Each week there is a Children’s Message prior to the sermon. Anthems by our Children’s Choir and opportunities for children and youth sharing leadership as Greeters, Acolytes, Crucifer, Ushers, Prayer Leaders, and occasionally, Cantors and Lectors. Our worship expresses this important thought: children are not just the future of the church; they are an essential part of the Body of Christ today. If you are interested in a particular project or committee, if you would like to become part of the various church groups, if you have some time to give but need ideas about what needs to be done, or desire to participate in the life of the congregations at any special point, please contact the church office. We will be very happy to help you find a meaningful volunteer ministry. Does Ebenezer offer special memorials for loved ones and friends? Many individuals wish to commemorate loved ones or friends when death occurs or honor others at special times of remembrance and thanksgiving. The Thanksgiving and Memorial Fund provides such an opportunity. A contribution made to the fund is acknowledged to the bereaved or honored, and also to the individual presenting the gift. Members are asked to provide information about any change of address or telephone number to the church office. You can call the office at (803) 765-9430 or send an e-mail by clicking here.